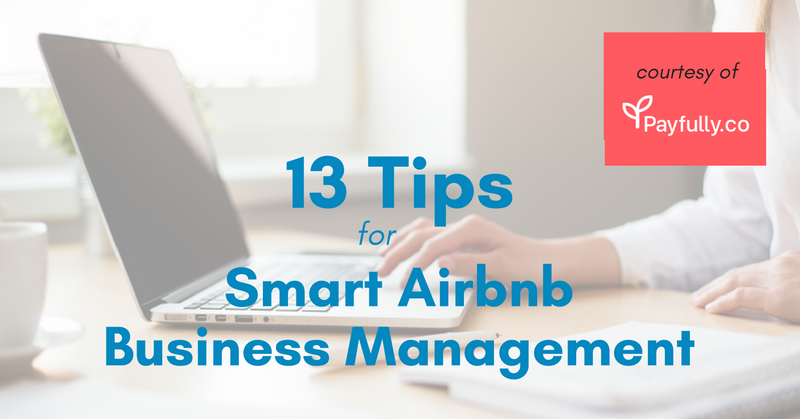 The first and most important thing Airbnb hosts must realize is that they are businesspeople. That means you will have to manage your Airbnb account and rentals as a business – that is, if you want to make money. Smart management will enable you to make money from your rentals without going crazy. More importantly, you will be able to run a profitable business without working yourself to the bone. 1. Use a professional dedicated Airbnb cleaning service. Such a service will save you a lot of time by taking care of all the cleaning chores. A dedicated cleaning service that specializes in short-term rentals will get the job done right every time because its people understand the special needs of Airbnb hosts. Some services are even available 24 hours a day, 7 days a week, and 365 days a year to provide more peace of mind. Keeping your ratings high is the best thing you can do for your Airbnb business. 2. Outsource as much of the work as possible. For example, there are now companies that will restock the supplies in your units and do the laundry. A big advantage to outsourcing is that the work will get done even if you are not available. It will also enhance the possibility of you getting a 5-star rating because cleaning will be professionally done. Outsourcing is critical to success for those who have other jobs or run another business. 3. Use an accounting software. The biggest cause of small business failure is lack of effective money management. This can lead to cashflow problems, tax troubles, and other finance-related headaches. A good way to avoid this is to use a small-business accounting solution such as Intuit’s QuickBooks Self-Employed from the beginning. If you still have trouble managing the books, you might consider hiring a professional accountant or bookkeeper. This can get expensive but when complex tax questions are involved, it is sometimes worth it. 4. Have a source of financing in place from the beginning. Lack of cashflow is one of the biggest causes of small-business failure. Payfully, a factoring service for Airbnb hosts, offers cash advances for future bookings. This means that you could have the money for your upcoming reservations whenever you need it without having to wait for your guest to check-in. 5. Take advantage of business education. If you have no previous experience or business-specific education, you should consider taking some courses in subjects like accounting, bookkeeping, and business management. Free and low-cost courses are available online and from community colleges. A little education can make operating your business a lot easier. The best way to learn the ins and outs of a business is from someone who has been there and done that. This means finding a mentor. The best mentor for a short-term rental operator is an Airbnb SuperHost. An effective mentor can help you avoid mistakes and teach you how to become a SuperHost, yourself. 7. Set up a separate bank account for your Airbnb payments. This will make easy to keep track of earnings and expenses. If possible, use one credit or debit card to make all the payments related to Airbnb. This will give you one record of all the transactions, which will make bookkeeping a lot easier. You can also make a few extra bucks by using a “cash back” credit or debit card. If you use PayPal, you can also get a credit or debit card linked directly to your PayPal account. 8. Use an online property management solution. Property management companies provide a team of people that will help you handle your bookings, schedule cleanings, and even answer your guests’ messages. Such services can be a lifesaver for hosts who have other obligations such as a family or a full-time job. They also make you seem more professional and enhance the chances of getting that 5-star rating. 9. Buy all the supplies you need for your rental properties from one place in order to get the best prices. You can reduce the time spent shopping by ordering all of your cleaning supplies from one online source such as Amazon Business or Walmart. These retailers offer low prices and free shipping deals. Bonus tip: you can use your Amazon Prime subscription as a tax write off if you use it for business. 10. Offer amenities that attract guests. Today’s guests expect amenities like Wifi, high-speed internet, widescreen TVs, a Netflix subscription, and fully-stocked fridges. Adding extra stuff can lead to more return customers, higher-paying guests such as business travelers, and more 5-star ratings. 11. Take on a partner. Select “Manage Listing and Calendar” on the listing you want to edit. Hover on the left side of the page to open the menu. If you have the time for Airbnb hosting but not the money, consider taking on an investor who will act as a silent partner. That person will put up the funds while you provide the labor. Potential investors include professionals who may have extra cash but no time. If you operate more than one short-term rental or take on a partner or investors, there are serious advantages to incorporation. Business entities, such as limited liability corporations (LLCs), offer serious tax advantages and protection from lawsuits. Online resources can help you form one without the cost of a lawyer. If you want to have fun and make money with Airbnb, you will have to treat it as a business. No business can succeed without effective management. Payfully is a platform that offers cash advances for Airbnb hosts. This means you could receive the payment for your upcoming reservations any time you want. With Payfully, you don’t need to wait for your guests to check-in to get paid.